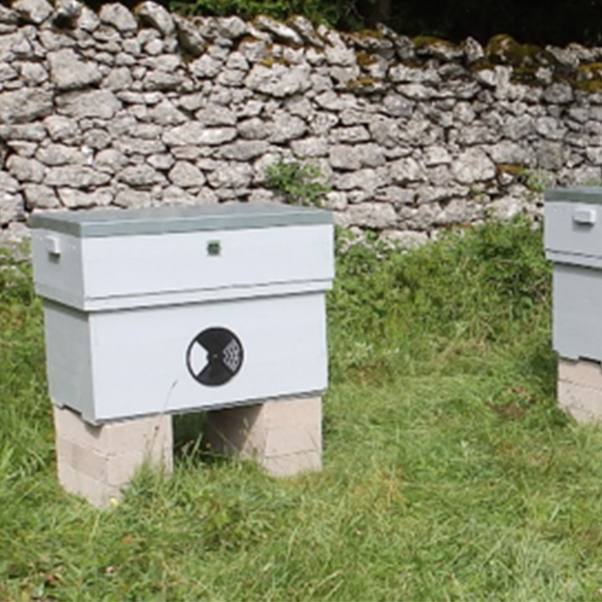 After experimenting with various long hive designs over a number of years, we have developed the Lune Valley Long Hive – an innovative but simple long hive based on the original Layens hive. In the wild, honey bees seek out hollows in trees or cracks in cliffs to build their nests. Any dry cavity of not less than 1.5 cubic feet which has an entrance that can be defended and is preferably 10ft or more above ground will do. If the cavity is in the trunk of a tree the bees will build a long vertical nest whereas, in the bough of a tree or crack in a cliff, they will build a horizontal nest. The reality is, provided it meets their basic requirements of being sufficiently large, dry and defendable, honey bees will adapt to their surroundings and build a nest that suits. there is no need for additional brood boxes, supers etc. the hive can be used for conventional frames or top bars. All the manipulations that can be carried out in a vertical hive can be achieved in a long hive, although the methodology is different. The only disadvantage of a long hive is that once set up, it cannot be easily moved. A natural bee nest in a hollow tree is insulated by 3” to 6” of wood resulting in very low heat transfer through the wood. This means that the bees do not need to expend great amounts of energy in keeping their nest warm in winter and cool in summer. Conventional hives have wooden walls of around 0.5” thickness resulting in high levels of heat transfer, in and out. The Lune Valley Long Hive has a double wooden wall of 2” thickness which improves insulation by five times, significantly reducing the bees’ workload and more closely replicating the natural state. In the wild many bees nest in hollow tree trunks. Over time, the bottom of the hollow gets filled with wood shavings, wax droppings, dead bees etc, which then acquires a population of organisms. Whilst the benefit of the wood shavings in helping the bees to control moisture levels is well documented, new research is beginning to show that the organisms and micro-organisms in the debris create a beneficial symbiotic relationship with the bee colony. 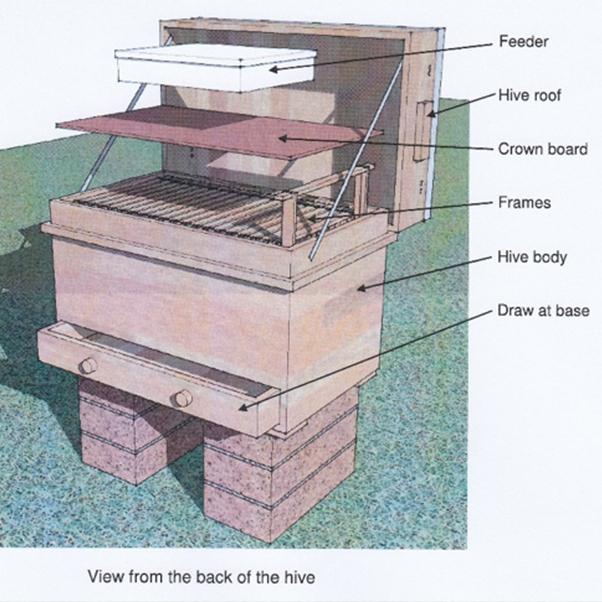 The Lune Valley Long Hive has a fitted drawer which can serve either as a sump or to measure varroa drop. Is constructed from softwod in order to reduce costs but will need an external preservative. Despite its high specification, it is economically priced whilst offering exceptional value for money.